turned into a bundt cake. I am a big fan of Baklava, and make it every Christmas - um, yeah, I don't make the usual traditional Christmas fare. 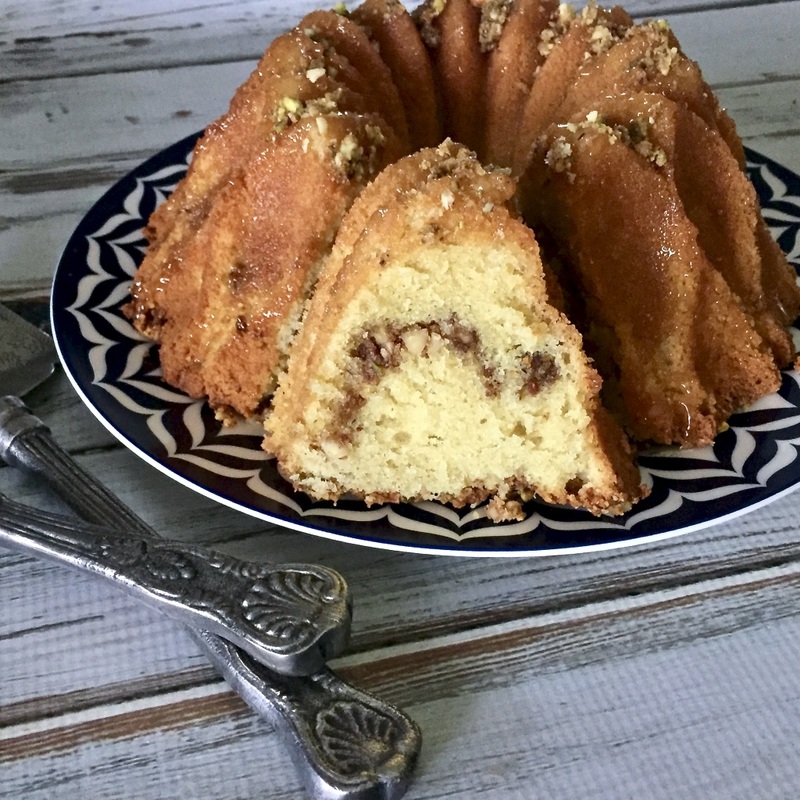 This year I had some of the filling left over, and as soon as I saw the Bunt Bakers theme I knew I wanted to make a bundt using the spiced mixture of nuts. 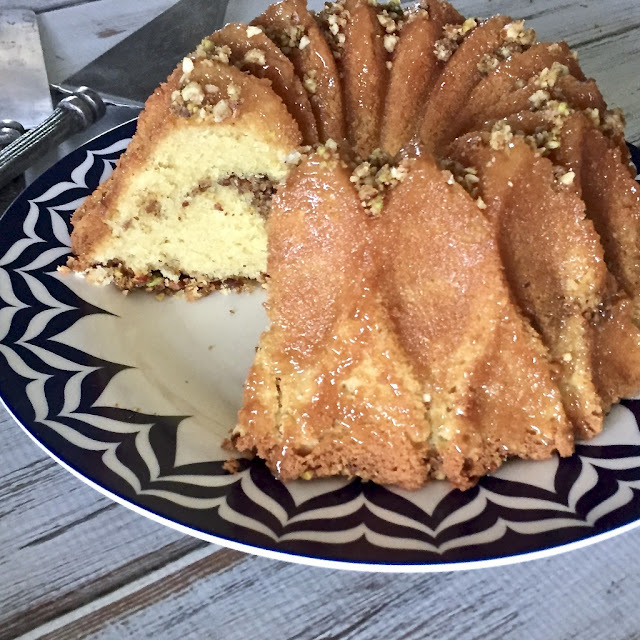 To make the bundt I used a simple vanilla cake recipe and layered the nuts in the three different areas - a ripple that runs through the middle, on the bottom of the bundt, and then sprinkled on the top. 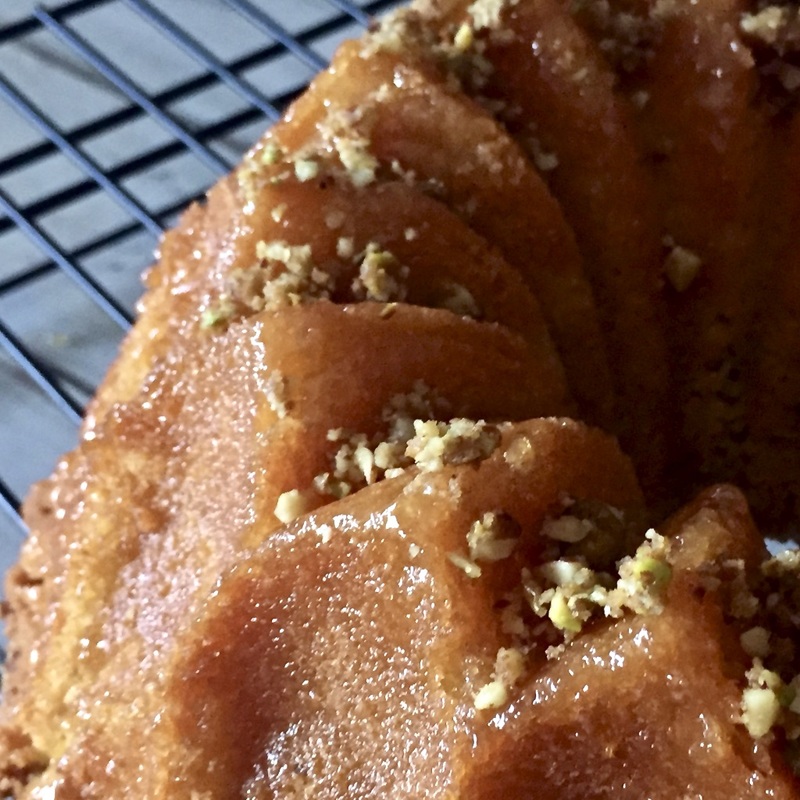 To complete the bundt transformation into a version of baklava I brushed a delicious honey-rosewater syrup over the top of the cake and then sprinkled the remaining few tablespoons of nuts over the top. 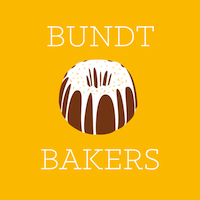 If you would like to know more about the Bundt Bakers and see what the other bakers made for the Nutty 5-Year Anniversary Bundts theme please scroll down below the recipe. 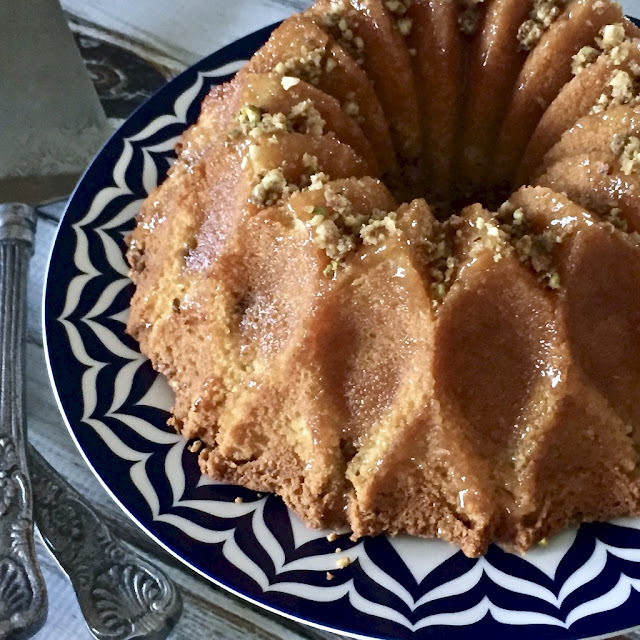 Spray a 23cm (9-inch) bundt cake pan with baking spray. In a medium bowl add all-purpose flour, almond flour and baking powder, whisk to combine; set aside. In the bowl of a stand mixer with the beater blade attached, add the butter and sugar and mix until light and fluffy. Add eggs, one at a time, scraping down the bowl to ensure that all ingredients are well combined. Add vanilla extract, and mix. Add dry ingredients to wet ingredients mixing only until they are incorporated. Pour half of the batter into the prepared bundt pan, then sprinkle half of the nut filling over the batter. Carefully pour in the remaining batter. Reserve approximately 3 tablespoons of the nut mixture, then sprinkle the rest over the batter. Bake for 40 - 45 minutes until inserted cake tester comes out clean. Remove from oven and leave cake in the pan for for 10 minutes to cool. Brush the top of the cake with the syrup and sprinkle with the remaining nut mixture. 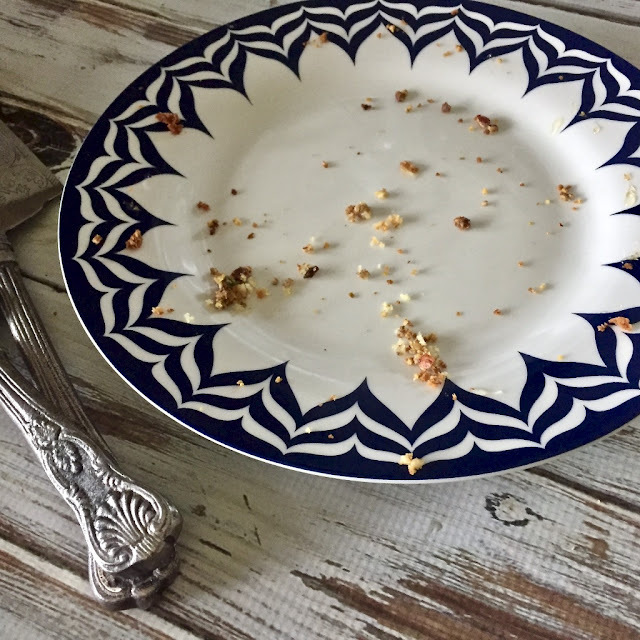 Arrange the pistachios, walnuts, and almonds on a baking sheet and toast in the oven until golden and fragrant, about 8 minutes. Let nuts cool slightly and add to a food processor along with the lemon zest, 3 tablespoons of sugar, butter, cinnamon, salt, and vanilla and pulse to combine. In a small saucepan over medium heat add the water, sugar and honey and bring to a boil. Reduce heat to a simmer and cook until reduced and slightly thickened, 8 to 10 minutes. Oh my, this sounds absolutely amazing. Beautiful and a wonderful twist to a vanilla cake. Yummy, I look forward to making this and will do my best to share Great job!